I admit that I wanted to avoid two films based on my childhood for stupid reasons. Okay, people know I dislike Power Rangers because of all the bad decisions the franchise keeps putting itself into. I also dislike Disney now for ruining my childhood with what they did with Marvel and Star Wars. It's time to think things objectively (or not) with this post. This is going to be very unpopular. There's always the fandom frustration especially when you've got Jim Paredes-minded fanbases in every fanbase. 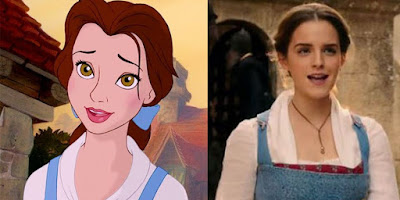 While I admit I can whine about how Emma Watson is nowhere near as pretty as the non-existent fictional character but I really have thought of how I just couldn't warm up to Emma Watson's version of Belle. It's not just the appearance but the substance of the script that made me think WTF why did I even waste precious time watching it? Watson gets praised but I'm unfortunately not among the many. In contrast, the Belle of 2017 does not vow. When the Beast won’t come into the light, she swings a candlestick at him, catching him in its glow so as to reveal him against his will. Similarly, she forces her father from his prison, locking herself into his cage after whispering into his ear that she is not afraid and that she will find a way to escape. When Lumiere unlocks her cell door, she hits him with her dungeon stool. As soon as she is in her room, rather than sobbing on her bed, as the Belle of the original film does, she starts tying sheets and ribbons together in an effort to escape from the castle. At first, she has only disdain and hatred for the beast, spitting defiant words at him through her locked bedroom door and standing up to him rather than retreating into herself. For me, the original Belle was a perfect balance of guts and femininity. The original Belle from the 1991 version is both weak and strong. She makes that vow. She doesn't force the light nor does she throw the stool. She's weak but she's also strong. The original Belle still knew how to play nice even to unwanted attention without making herself vulnerable. What I like about the original Belle better is that while she's blunt but she's also gentle. That's the perfect balance. I could admire her for everything from her strengths to her weakness. She wasn't afraid to cry when she felt like it and stand up when she had to. Is it me or do I immediately always think "Emma Watson = I won't like it"? What I didn't like about Belle is that she tends to choose anger over sadness. Just because Belle is supposed to be brave doesn't mean she doesn't have vulnerable moments. Come on, it's really okay for women and MEN to cry when they're feeling upset. I don't see any reason why a strong woman shouldn't cry. Real strong people do cry to heal their wounds. And that's why I think Watson's Belle isn't cut out for me. Well what about Kimberly in the 2017 film? Aside from the superficial reason that Kimberly is nowhere near as hot or my reason that I don't like Power Rangers neither do I intend to rewatch those I've watched before is this. I thought about how the film itself really doesn't match up to what I want. I could care less if Japanese legends such as Antonio Inoki and Yuuta Mochizuki showed up. 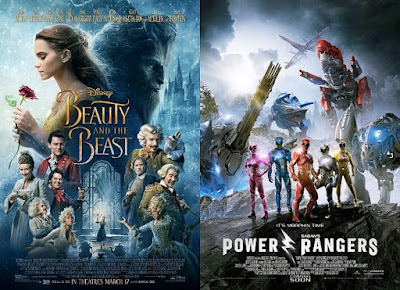 Doesn't change the fact the film just really, really isn't cut out and that Power Rangers is really shooting itself at the foot way too many times. I really felt like the film shouldn't have existed in the first place. Think of how much money was spent on guests to appear per head from Toei's executives (where Shinichiro Shirakura and the legendary Takeyuki Suzuki also showed up at the premiere). 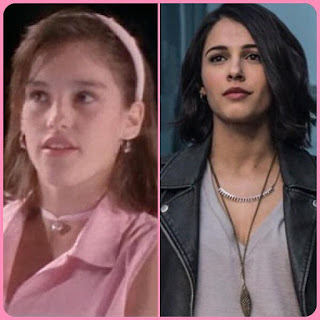 So what's my issue with the film's version of Kimberly aside from the dumb excuse that she's not hot enough compared to the one and only Kimberly who I called my Power Rangers waifu? I think it had to do with her going from a sweet and lovable person to the bad chick she is in the film. She's involved in cyberbullying and a lot of stuff that I couldn't imagine Kimberly is doing. Gone is the sweet and lovable image that Amy Jo Johnson-Giner portrayed. I really couldn't get over how the character got desecrated by the 2017 version. I really feel like I wanted to smash my head that I didn't bother finishing the film either. It wasn't worth my time and I won't even bother writing a comprehensive review on it either. Besides, isn't much of my dislike for Power Rangers also rooted on my "love" for Kimberly? Yup, that's why I even dislike the franchise for years to come. It's just like how my love for certain Marvel characters is making me dislike Marvel for years to come.